For many, Black Friday is all about insane price drops on a vast range of products. After all, that’s the reason why millions of people across the world line up outside retail stores in the early hours – to get their hands on an absolute bargain. But with fewer and fewer people hitting the high streets each year and more preferring to shop from the comfort of their laptop or mobile phone, that experience is beginning to change. One of those things, arguably the most important for online shoppers, is the promise of free shipping. In the era of Amazon Prime, free shipping has become a standard that customers have come to expect from online retailers. Businesses that fail to catch onto this new e-commerce norm face falling behind when big retail periods like Black Friday come around. Sure, to offer free shipping, you’ll have to factor shipping costs into your pricing model, but that’s exactly what brick-and-mortar stores are doing even when they have sales on. Plus, it has some serious benefits. Here’s why you should consider offering free shipping to your customers this Black Friday. No one likes being stung by a surprise additional cost dropped into their basket, just before they’re ready to purchase. In fact, a report carried out by e-commerce consultancy firm Forrester revealed that delivery charges are the number 1 reason why customers abandon their online baskets before finalising their purchase. Offering free shipping eliminates cart abandonment caused by delivery charges, helping drive a wealth of additional purchases over the Black Friday period. If a competitor doesn’t offer free shipping, they’re likely to lose the custom of shoppers for whom free shipping is a must. Those same customers will now be shopping around, but with something specific in mind, putting them on the fringe of making a purchase. If free shipping is the last remaining obstacle to their purchase, your business will reap the benefit of the failings of your competitors, and give you a chance to retain those customers for future transactions. 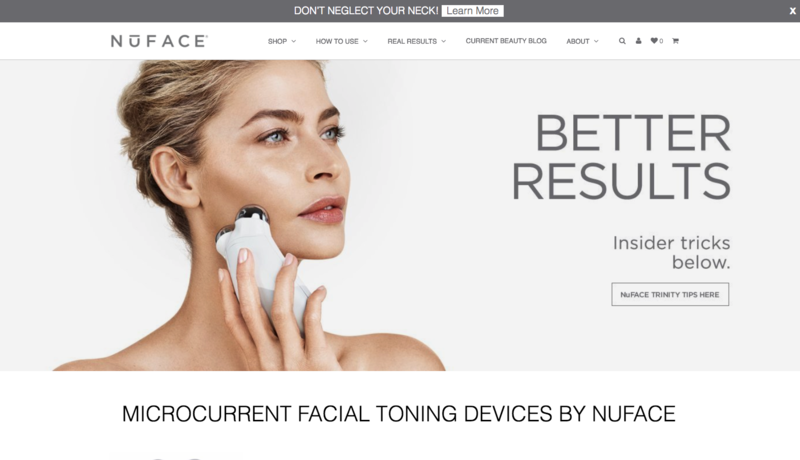 A few years ago, there was a study carried out by Red Door on NuFACE, an anti-ageing skin care company in the US. It showed that when customers were told they could get free shipping on orders over $75, order increased by 90%. On top of that, the company’s average order value also rose by 7.32%. The study is just one example of how customers can be incentivised to spend more by being given a free shipping threshold. A great strategy when adding a free shipping incentive is to place the threshold only slightly higher than your current average order value. For example, if your customers typically spend £20 per order, why not trying providing free shipping on orders over £25? You might find that customers are willing to treat themselves a little more if it can be justified with a monetary benefit at the end. One thing that sellers should hone in on when offering free shipping is finding a way to show buyers the real value of delivery, to emphasise in real terms what they’re saving. For example, if shipping were to cost £4.50, you might want this displayed on the checkout page with a strikethrough. This helps customers better comprehend what they’re actually saving, which – combined with the discounts you’ll likely place on your products for Black Friday – makes a very compelling argument for customers to follow through with their orders, giving your sales that little added boost. Like it or not, Black Friday is just a sample of things to come before the Christmas shopping period gets into full swing. Without the frantic excitement of Black Friday deals, customers are more likely to return to vendors they’ve had a good experience with in the past. With free shipping, you can set yourself up well for return custom, because buyers will recall the ease of booking, and that they weren’t hit with any additional shipping charges before making a purchase. Plus, because Christmas shopping has greater sentimental value attached to it than the price-conscious Black Friday attitude, people will turn to stores they trust rather than stores with the cheapest offers. Therefore, they’re more likely to drop by your store when they need to find that perfect gift for Mum or Dad even if your products are listed at higher prices, rather than a site that they’ve never shopped from before. Make free shipping part of your business model by finding the UK’s most affordable courier delivery services. Get a quote today at Parcel2Go.com.